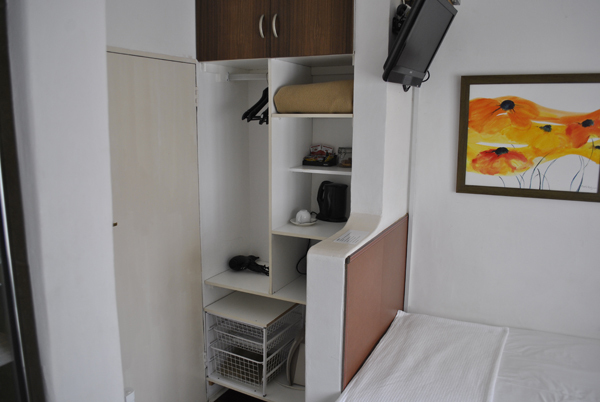 The Riebeek room is a small single room, with standard length single bed. Desk, chair, ceiling fan, safe, fridge, heating. Parquet floor, coffee/tea tray with kettle, hairdryer.